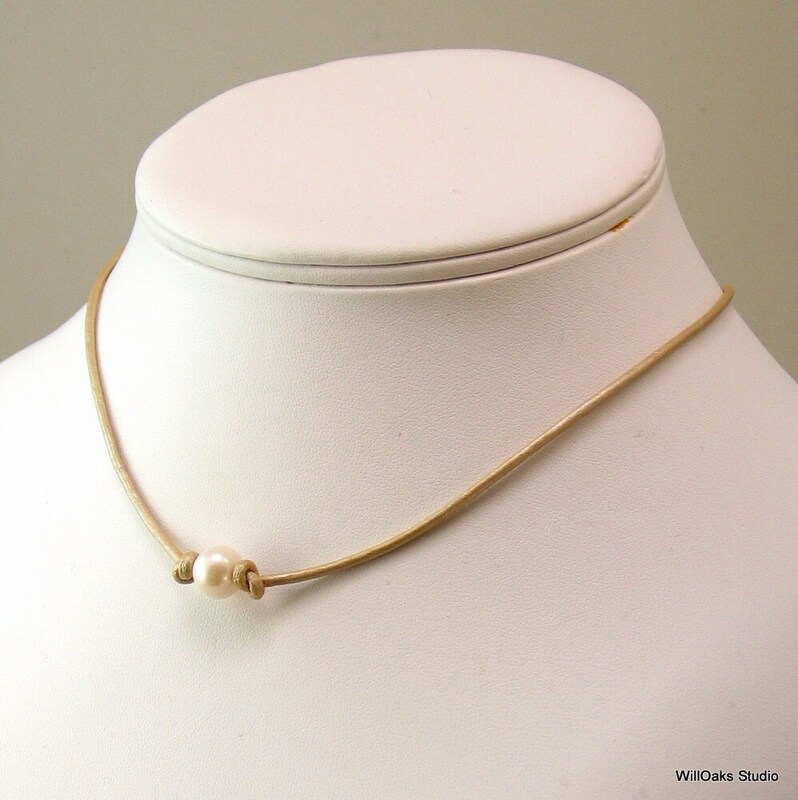 One more variation for my popular pearl and leather choker necklace--a pearlized ivory beige leather, very pale and summery, an elegant foil for the off-white freshwater pearl. Will be made just for you with one or three pearls. 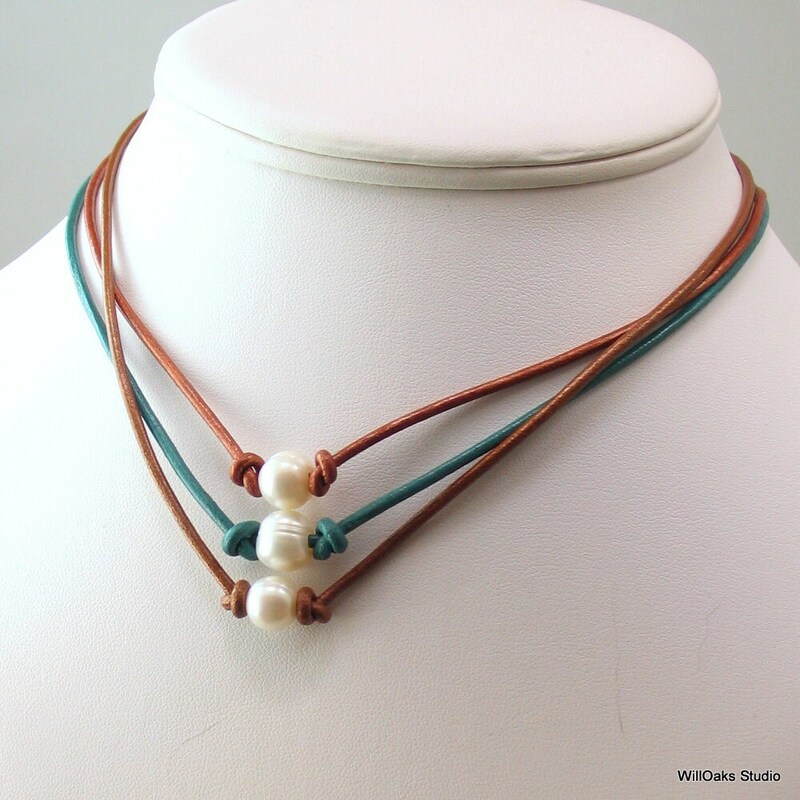 Robust 2 mm leather secures the 9 to 10 mm pearl (or 3 pearls) with knots in the center front. Closes at 17" with a silver plated brass lobster clasp. You'll choose the number of pearls-1 or 3-as you check out. 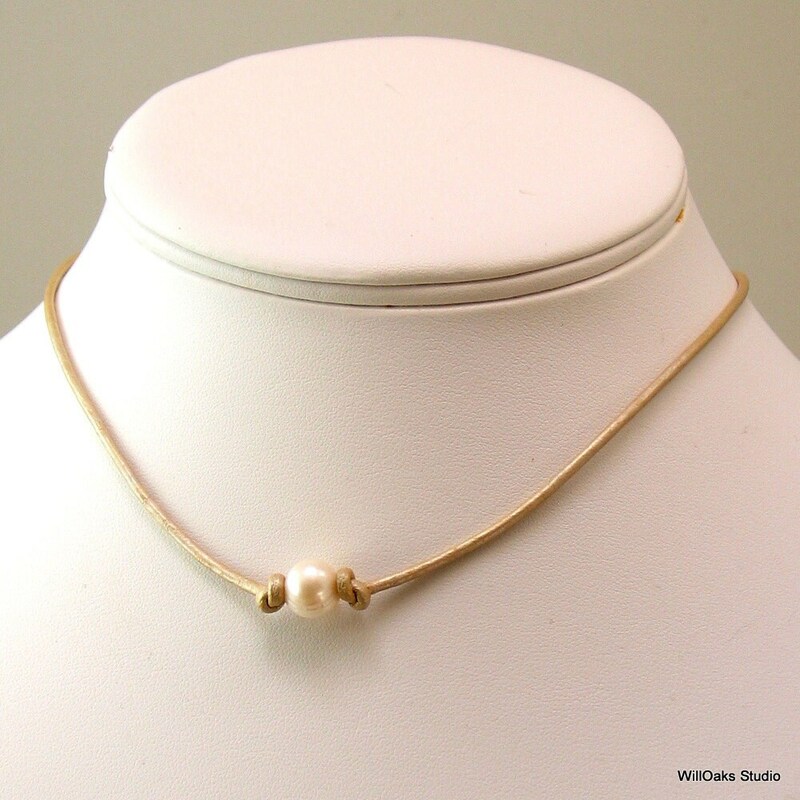 Since each necklace is made to order, you can request a size adjustment using "notes to seller" at check out for a total finished length that's shorter than 17", or longer, up to 20". Clasp and ring are tightly bound to the leather ends with sterling silver wire. Comes to you coiled into a small velvet pouch, mailed in a bubble lined envelope. So easy to wear and you can wet the leather to get it to conform to your neck so it fits like a glove. 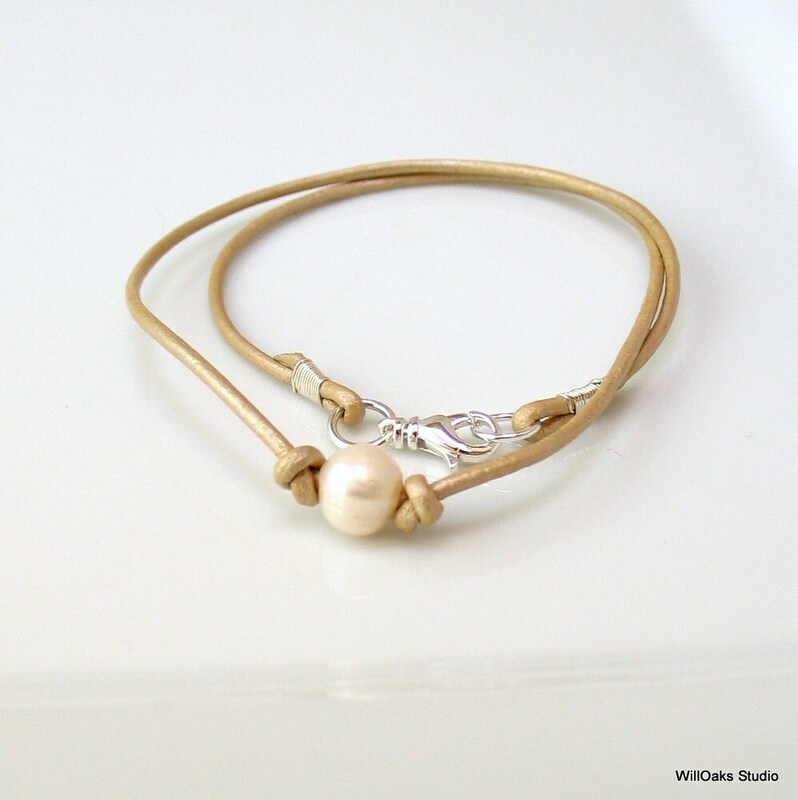 If you like simple bracelets, find a coordinated pearl and leather version here https://www.etsy.com/listing/509162617/leather-and-freshwater-pearl-bracelet? I love this casual style, that goes with so many looks. I'm wearing one full time because it's so easy to wear these!! 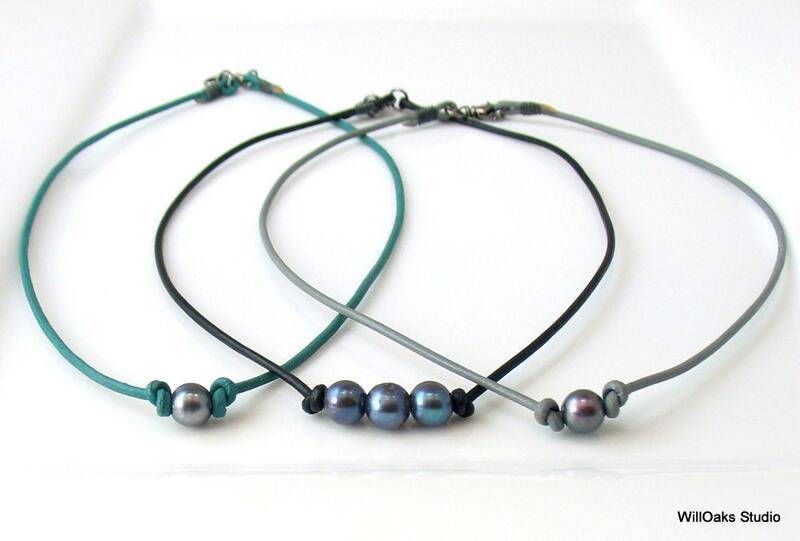 I bet you'll love one, too--and they make easy, lovely, affordable gifts! Such a stunning necklace! Made exactly as I requested, even in the custom length. The three pearls are beautiful. I receive so many compliments on this necklace. Such a great buy! Beautiful choker. Thank you for the fast shipping.